Just How Many WP7 Smartphones Have Been Sold? "Direct sales figures for Windows Phone 7 handsets have been remarkably difficult to come by since Microsoft's OS reboot at the end of last year, but here come the stat gurus at Gartner to provide us with their best estimate. 3.6 million of the world's smartphone sales in the past quarter were counted under the Microsoft mobile OS umbrella, of which 1.6 million featured the very latest WP7 software. That means Redmond partners sold more Windows Mobile devices in the first three months of 2011 than ones bearing the sparkling new operating system." With all the Mango news today, it is still interesting to speculate just how many WP7 phones have been sold to-date. According to this Engadget article, Gartner has estimated the magic number to be 1.6 million. With what you have seen of the new functionality provided by the Mango update, and with the new relationship with Nokia, do you think we will start to see an acceleration in the number of WP7-based smartphones sold? Unfortunately not. I still have hope for Windows 8 although this also means that the more than $500 I paid my HD7 was just money thrown down the toilet. Mango will bring some nice features and improvements but it does not seem to address many of the issues I have with WP7. Last edited by Fritzly; 05-25-2011 at 07:27 AM.. I think with the WP7 being tepid with the consumers, it’s high time that the unsuccessful experimentation of Microsoft teams up with Nokia so that with a partner deal their product at least proves a competition with kings of the mobile space. 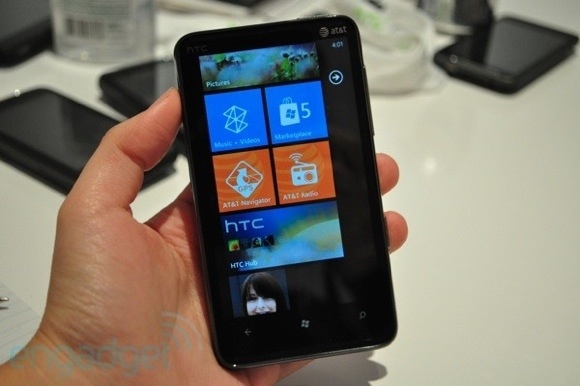 With no much up gradation in the WP7 since its launch this scenario was not a surprise when it occurred. Symbian accounted for 27 million units in Q1 2011. In a rapidly expanding market, anything less than 40 million units for WP7 in Q1 2012 will be an absolute disaster for both Microsoft and Nokia. I'm sure they'll do fine once Mango comes out. Accompanying Mango will likely be another big advertising push to show off some of the new features. And since Nokia is trying to break back into the US market, we'll also see a lot of Nokia advertising as well. Mango does a good job playing catch up. My concern is that by the time it comes out, what will iOS and Android have done? Looking at how slow NoDo was to be delivered, I have serious doubts that we will see many (any?) devices with Mango this year. If that turns out to be true, then WP7 will most likely STILL be far behind the curve. I think Nokia producing hardware should help, but if they don't bring their "A" game, Microsoft is going to be seriously hurting. Their other OEMs have demonstrated so far that that WP7 is the the B squad and only gets second level hardware. Seriously, compared to the high end phones we see for Android and even Apple, WP7's hardware looks like the red headed step child. I partly blame MS for that. MS set hardware specs that were top-of-the-line (or near it) about a year before launch. Guess what happens a year later? If this is true it just points out how Microsoft STILL doesn't understand this market. It is changing/growing/moving at a much faster pace than Microsoft seems to be able to understand. I know they are a big company, but so are Apple, Google, HTC, Samsung, etc. Even with the year old hardware specs, we never have seen one of their OEMs pushing the limits, where is the 4.3" 32Gb 8 megapixel device that could at least compete on some level with last year's top end Android devices? Nowhere, it seems even the OEMs consider WP7 a second tier option at this point as well. Not a good sign. I hoping Mango delivers and is really available this fall, but history is not on it's side. I have a Windows Mobile 6.X device. I have had Windows devices since the HP 95LX PDA, but I doubt that my next device will use the MS operating system. I have been reviewing buying a new phone for a while..., primarily focusing on the Android or Windows Phone 7. Frankly, I don't think Microsoft can keep up with the competition in terms of product and timely upgrades. Shipping Window Phone 7 without editing capability or multi-tasking non-MS software is inexcuseable. Then after promising timely upgrades, it took about 5 to 6 months to get cut and paste added (I thought that MS was going to deal with the consumer directly and no longer provide upgrades thru the Telecomm Vendor). So, I believe that by the time Mango is added, both Android and Apple phones will be well beyond Mango's capabilities. In addition, my understanding is that my older software won't work with Windows Phone 7 which means that I am starting from scratch. If true, then there is no reason to avoid a different operating system.